Unfortunately, not everyone who visits Neopia is a nice person. The Wall of Shame is a place where we post the latest ways people are trying to trick others. As a general rule, anyone who asks for your password is trying to trick you. Neopets staff will NEVER ask you for your password. And if it sounds too good to be true, it probably is. No member of staff will EVER contact you through AIM, MSN or any other chat program! If someone claims to be a staff member through a chat program, you are being scammed! If the URL (the address at the top of the page) is not http://www.neopets.com/loginpage.phtml - DON'T ENTER YOUR INFORMATION! We never have, nor ever will ask you to log in from any other address! These scam sites are sometime on the following domains: geocities.com, Formsite.com, freewebz.com, Freeonlinesurveys.com, Angelfire.com, etc... Many try to hide their true domains by using a redirection service like .tk or cjb.net. Scammers post these incredible offers to get you to go offsite. One of the typical scams is for a Neopoint Generator or an Item Generator. No matter what anyone claims, these are ALWAYS a scam. They require you give them your password, or to change your email address for the "program" to work. The funny thing is that they usually try to calm your fears by stating "This is not a scam!" when it always is. Basically, if the page asks you to enter your password or to change your email address, then it's a scam. One old trick is to try to make you change your email address to win a prize, or to change your password to something simple. Do not do this! If you do, that person will be able to get your password and gain entry to your account. Remember, no Neopets staff will EVER ask for your password. If you receive any such messages, please report them using this form. Include a copy of the message if you can. Another scam involves you giving your password to a scammer in the hopes of either getting an avatar or a trophy for one of the games. No matter what they promise you, by giving someone else your password you will lose your account... either because they have stolen it or because it will get frozen (since you have cheated by having someone else play games for you). Lending and borrowing of items to get an avatar is strongly not recommended either. Chances are you won't get your item(s) back. Clicking on a referral link will not get you a million neopoints or rare items. It's a trick to get you to refer the scammer who thinks they'll get more referral prizes. If you want to create a new account, simply go to Neopets.com and create an account! If you ever wondered why links are blocked on the boards, in Neomail, and all other places on the site, it's because 99% of them lead to at least one of the above. Other Things To Watch Out For! 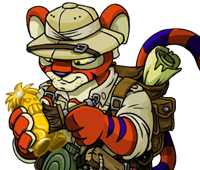 Neopets will never ask you to pass any messages on to anyone else, nor will we ever ask you to post messages repeatedly on the message boards, trading post, or any other area of the site. These will not earn you paint brushes, codestones or anything else and are merely spam messages that annoy other users. Any "copy and paste" messages that tell you otherwise are false and are not endorsed by The Neopets Team no matter what they say. If you receive any such Neomail, simply delete it. Do not trade with anyone unless you are using the Island Trading Post. If you trade with anybody without using this then it is at your own risk and you could lose your items or Neopoints. If you know of a scam, such as someone that is pretending to be Neopets staff or someone that is asking for passwords, report the person using this form! If you've seen a new scam pop up and you want to let us know about it, submit it here and we will post it on this page to warn others. Do NOT give your password to ANYONE, no matter what they promise. Only trade using the Island Trading Post. If anyone sends you a message and says they are Neopets staff, unless they are using the user name theneopetsteam, they are most probably lying. If in doubt about any messages you receive, please ask us!